Amortization is a Fundamental Concept of Accounting, learn more with our Free Accounting Fundamentals Course. 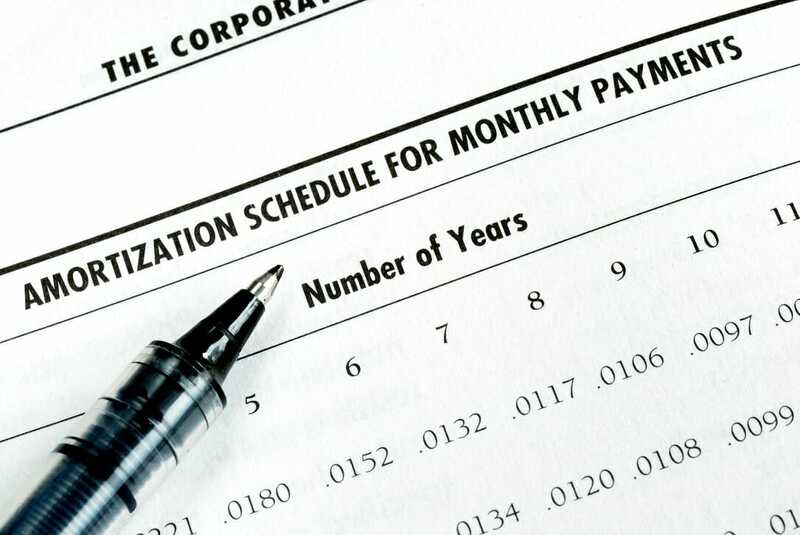 The amortization of a loan means that the loan is paid back, in full, over time. In most cases, when a loan is given, a series of fixed payments is established at the outset, and the individual who receives the loan is responsible for meeting each of the payments. The principal and interest paymentsInterest ExpenseInterest expense arises out of a company that finances through debt or capital leases. Interest is found in the income statement, but can also be calculated through the debt schedule. The schedule should outline all the major pieces of debt a company has on its balance sheet, and calculate interest by multiplying the on the loan will be different from one month to the next; however, the same total amount must be paid each payment period. With items such as home or auto loans, payments made consist of parts that change over the course of repayment. Regardless, each payment made goes toward the interest on the loan and reduction of the total balance of the loan. Interest costs are always highest at the beginning so that the bank or lender is compensated for their trouble as quickly as possible. It also serves as an incentive for the loan recipient to get the loan paid off in full. As time progresses, more of each payment made goes toward the principal balance of the loan, meaning less and less goes toward interest. Not all loans are designed in the same way, and much depends on who is receiving the loan, who is extending the loan, and what the loan is for. However, amortized loans are popular with both lenders and recipients because they are designed to be paid off entirely within a certain amount of time. It ensures that the recipient does not become weighed down with debt and the lender is paid back in a timely way. Amortization means something different when dealing with assets, specifically intangible assets, which are not physical, such as branding, intellectual property, and trademarks. In this setting, amortization is the depreciation of such assets, over time, as marked by a company’s accounting team. When fixed/tangible assetsTangible AssetsTangible assets are assets with a physical form and that hold value. Examples include property, plant, and equipment. Tangible assets are seen or felt and can be destroyed by fire, natural disaster, or an accident. Intangible assets, on the other hand, lack a physical form and consist of things such as intellectual propertyr (machinery, land, buildings) are purchased and used, they decrease in value over time. So, for example, if a new company purchases a forklift for $30,000 to use in their logging businesses, it will not be worth the same amount five or ten years later. Still, the asset needs to be accounted for on the company’s balance sheet. DepreciationDepreciation MethodsThe most common types of depreciation methods include straight-line, double declining balance, units of production, and sum of years digits. There are various formulas for calculating depreciation of an asset is determined by dividing the asset’s initial cost by its useful life, meaning, the amount of time it is reasonable to consider the asset useful before needing to be replaced. So, if the forklift’s useful life is deemed to be ten years, it would depreciate $3,000 in value every year. Amortization refers to the act of depreciation when it comes to assets that aren’t physical. It is arguably more difficult to calculate because the true cost and value of things like intellectual property and brand recognition are not set in stone. It takes a responsible, well-rounded accountant working closely with a company to help the business understand what its intangible assets are worth and how to account for the depreciation of the assets over time. Regardless of which specific instance it refers to, amortization means the writing off of cost. Having a great accountant or loan officer with a solid understanding of the specific needs of the company or individual he or she works for makes the process of amortization a simple one. Standby FeeStandby FeeA standby fee is a term in the banking industry referring to the fee a borrower pays to a lender to compensate for the lender’s commitment to lend funds.